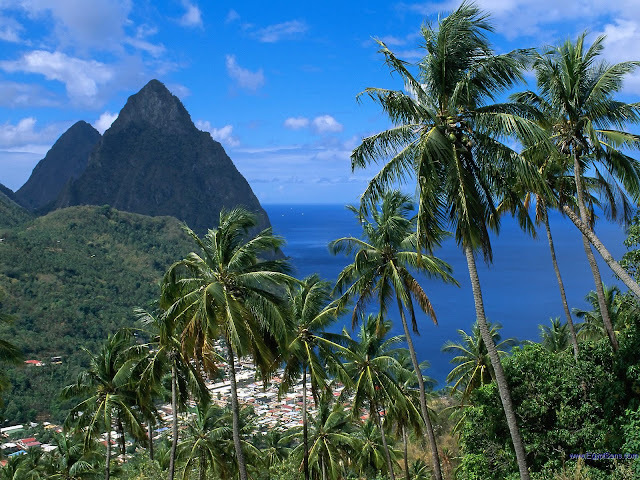 Saint Lucia i/seɪnt ˈluːʃə/ (French: Sainte-Lucie) is a sovereign island country in the eastern Caribbean Sea on the boundary with the Atlantic Ocean. Part of the Lesser Antilles, it is located north/northeast of the island of Saint Vincent, northwest of Barbados and south of Martinique. It covers a land area of 617 km2 (238.23 sq mi) and has a population of 174,000 (2010). Its capital is Castries. 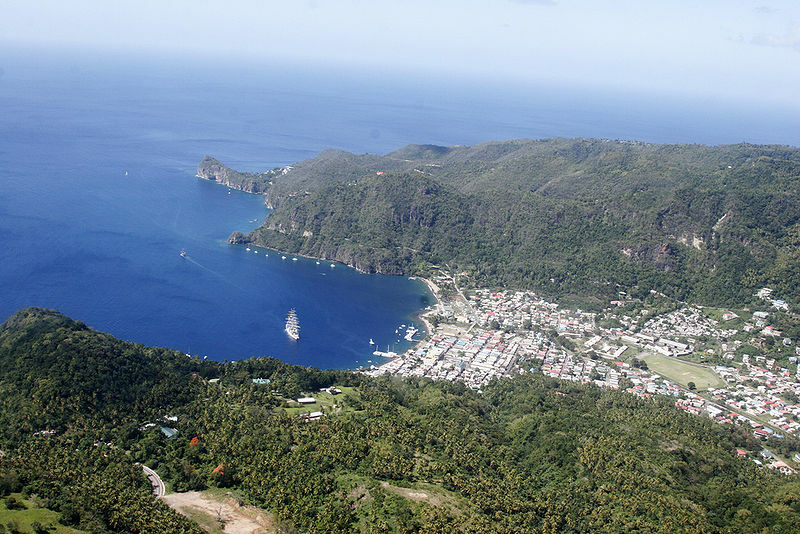 Two Nobel laureates, Arthur Lewis, an economist, and Derek Walcott, a poet and playwright, have come from the island. It is the nation with the second most such honorees per capita after the Faroe Islands.